Alison Jane Blake was born on 27 June 1969 at Boundary Park Hospital, Oldham, and grew up in Royton with her mum Joyce, dad Malcolm and younger sister Catherine. To say Alison was one of life’s enthusiasts would be an understatement. Whether it was learning a musical instrument, amateur dramatics or volunteering with her local Girl Guides group, she had that Judy Garland and Mickey Rooney attitude of – “let’s put a show on in the barn, kids” – an attitude that would later serve her well in her professional life. One of Alison’s childhood highlights was her stage acting role where she was a disciple in the world premiere stage adaption of Whistle Down the Wind at Oldham Coliseum, where she met Hayley Mills who had starred in the movie. Leaving school aged eighteen, Alison left home as well to study Philosophy and Sociology at the University of Essex, where she gained a good 2:1 degree. After university Alison stayed on living in Colchester for a year, sharing a house with friends and working for BT. Then in 1990 she returned to live in Oldham and after working in a number of temporary jobs she started working at MDIS, the Manchester Disability Information Service. It was during her time at MDIS that Alison got involved with GMCDP (the Greater Manchester Coalition of Disabled People), which had their offices next door at the Cariocca Business Park in Ardwick, Manchester. Alison quickly became a Coalition member and very soon found herself being nominated to join its Executive Council, becoming a GMCDP director from 31 October 1992 until 2 March 1993. It was through her involvement with the Coalition that Alison met her future life partner Brian Hilton. Clearly GMCDP had spotted Alison’s potential and in 1992 Alison was encouraged to apply for a job at the Coalition running a new project called the Independent Living Skills Project. This project aimed to support young disabled people to take greater control of their lives and futures as they entered adolescence and adulthood. It was a job that Alison was born to do and, successfully gaining the job, over the next four years she would make it her own. She had to resign as a Coalition director once she started work, running what would later become the Young Disabled People’s Project. Like almost everyone else who worked at GMCDP, it was always more than just a job. Alison immersed herself in politics and the issues of the time, whether it was picketing the inaccessible NALGO social club in Manchester, protesting against ITV’s Telethon in London, or handing out leaflets during a live broadcast of BBC’s Children In Need inside Manchester Town Hall. In 1995, with funding from the Joseph Rowntree Foundation, Alison wrote and produced Independent Living Skills: A Training Manual for Young Disabled People which included a book and a 40 minute video, Moving On in VHS format. helpless “sufferers” of some “children’s disease”. It was an approach rooted in the social model of disability which Alison promoted in various articles, including her work which was published by the Royal College of Physicians. Although Alison regularly contributed articles and poetry to GMCDP’s Coalition magazine, Alison’s prolific output was mostly hidden. She kept a diary for most of her life, wrote plays, poetry, short stories, academic papers and reports. In 1995, as well as producing the Independent Living Skills publication above, Alison was commissioned by the Women’s Press to edit an anthology of work written by young disabled women. In all this, Alison still found time to have a social life and formed strong friendships with her GMCDP colleagues. After work Alison, Audrey, Linda and Brian would head into town to their regular haunts of Night and Day, Caffe Uno, Amigo’s or the Happy Eater. Alison was a huge fan of REM long before Shinny Happy People was a hit, and was beyond ecstatic when she saw them play live at the Milton Keynes Bowl in 1995. Her friend Audrey recalls Alison, Brian, Linda and herself trying to organise a singing group and using one of the business units at Cariocca for their rehearsals. Brian was there with his guitar, Linda brought in her keyboard, and Alison was the singer, her voice leading with Leaving on a Jet Plane. Alas, the Units didn’t last long but the strong friendships carried on. In early 1996 Alison took a holiday in America, including a visit to Daytona Beach. Whether she wore her trademark Doc Martens on the beach is not recorded. If Alison had any failings it was her “Oh, I’m okay thanks” response to any and all enquiries as to her health and stamina. She went into work when she should have stayed home, went out when she should have stayed in bed, and smiled when she felt like crying. Only occasionally would that mask slip, not because she was super brave or stoic, just that there was so much do and so little time to do it all in. Aged 27 years, on Wednesday 18 September 1996 Alison passed away. On that Monday she was ordering wedding invitations, on the Tuesday she was unwell, and on Wednesday she passed away, surrounded by her fiancé Brian, her mum, dad and sister. The following year in 1997 her publication, Independent Living Skills: a training manual for young disabled people, was re-issued. ISBN 9781900600712. 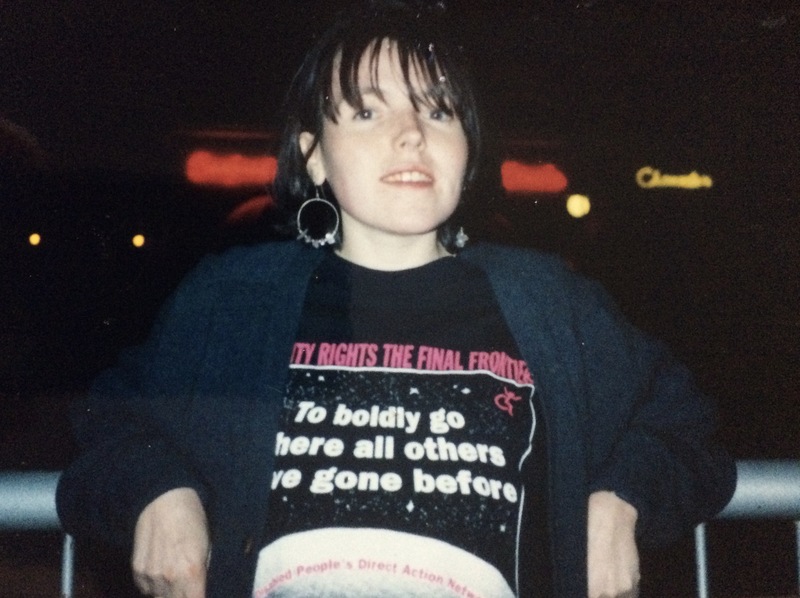 The groundbreaking work Alison developed with young disabled people at GMCDP still continues today, which is fitting tribute to her as a much missed colleague, friend and a Doc Martens wearing activist.